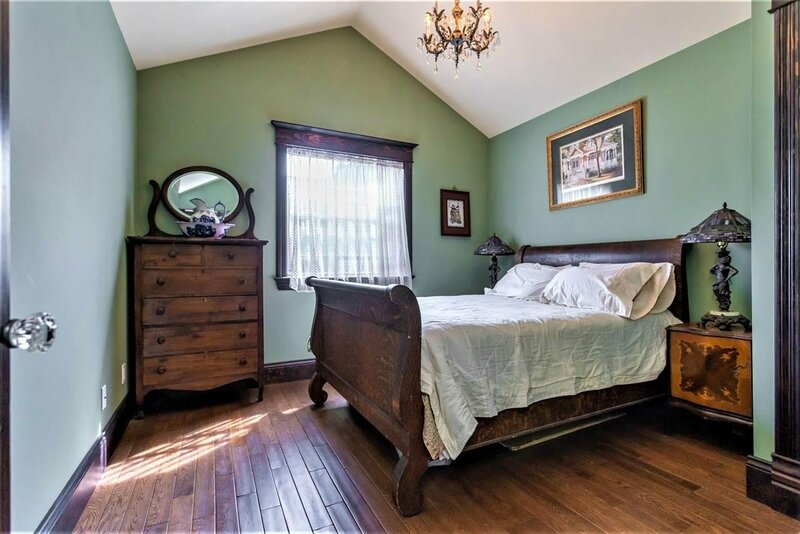 Feel the Victorian nostalgia in this home! 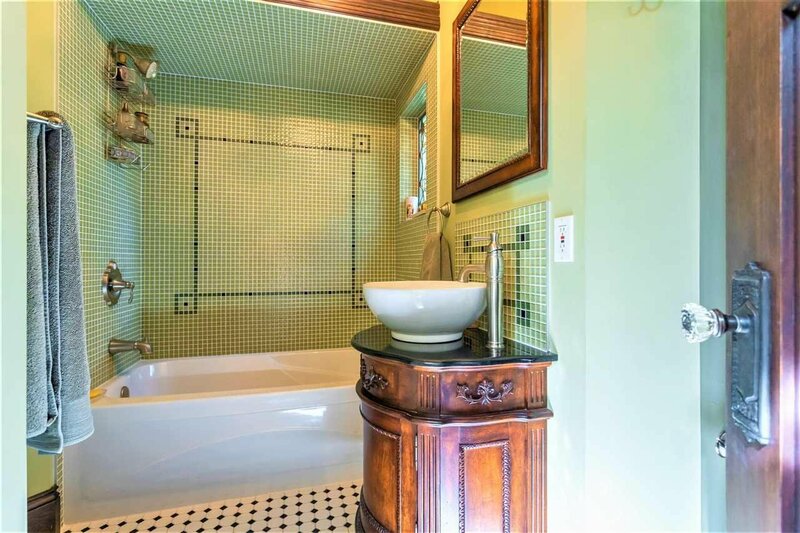 Interior decor all completed in 2008. 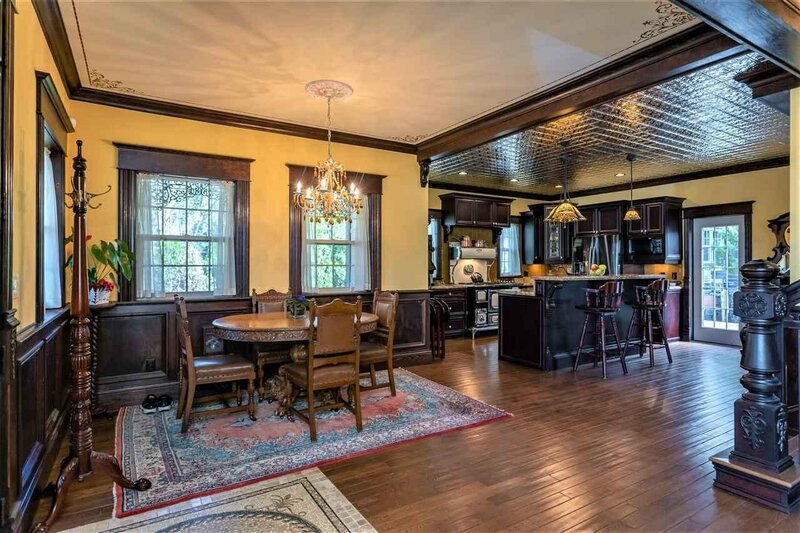 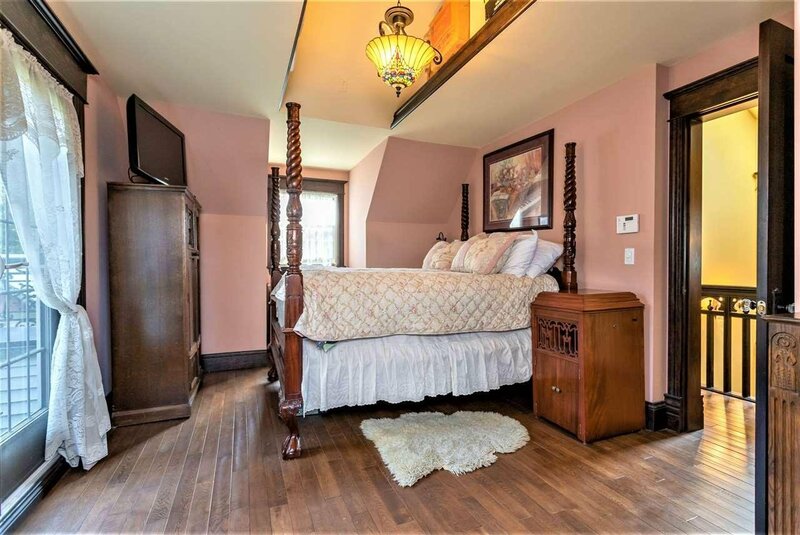 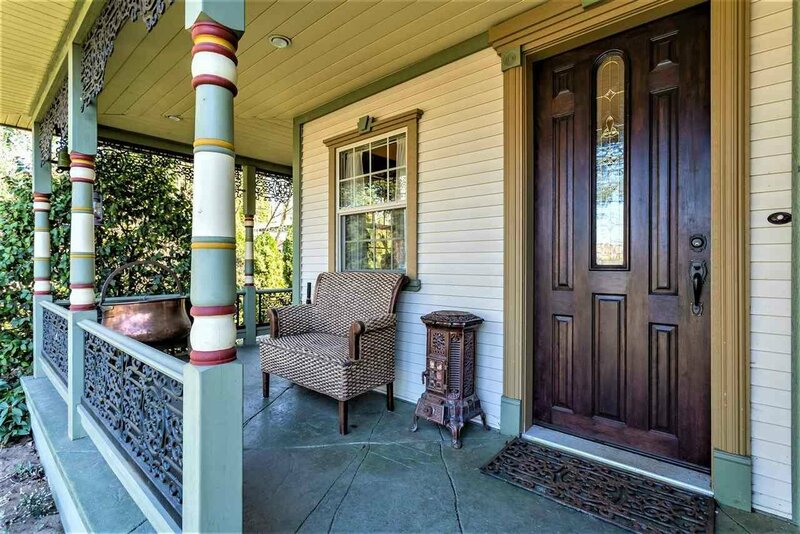 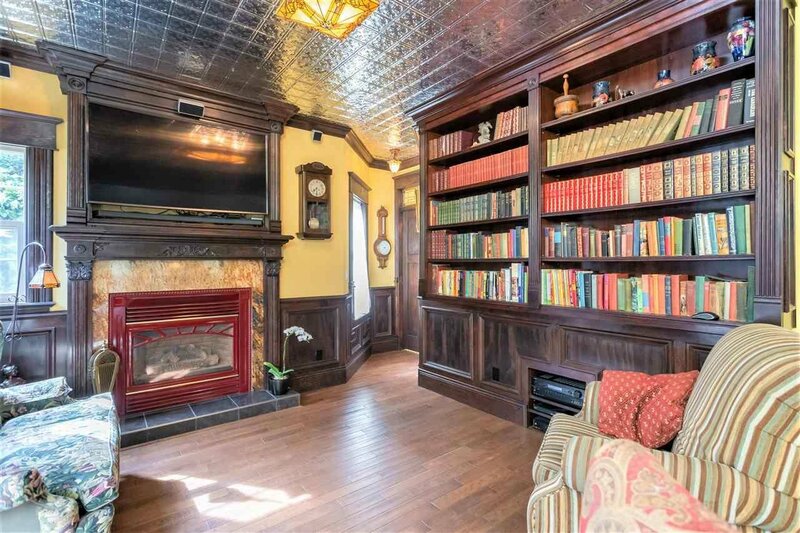 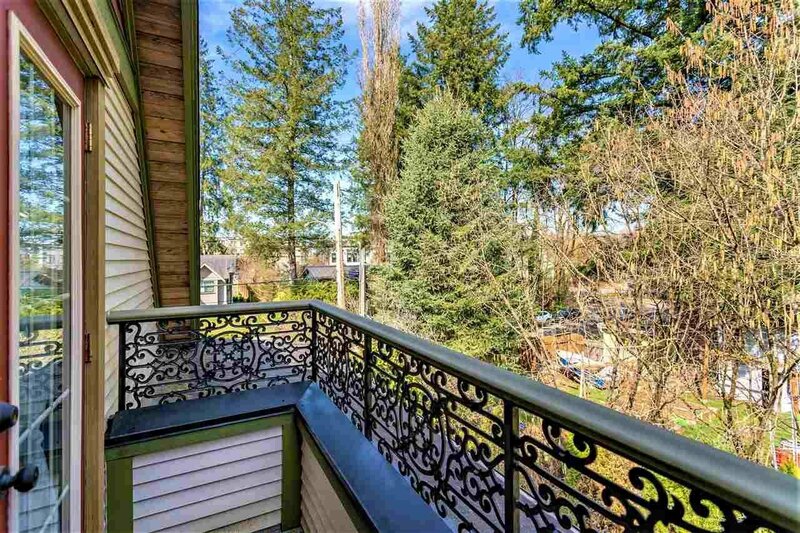 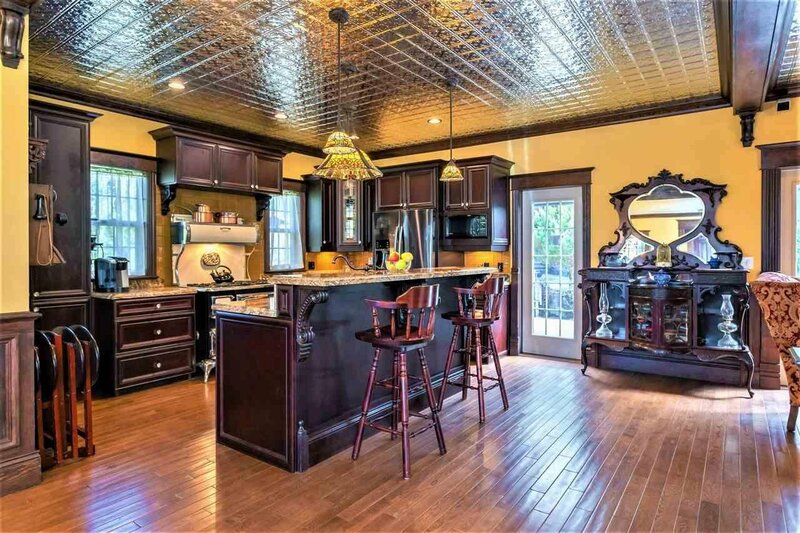 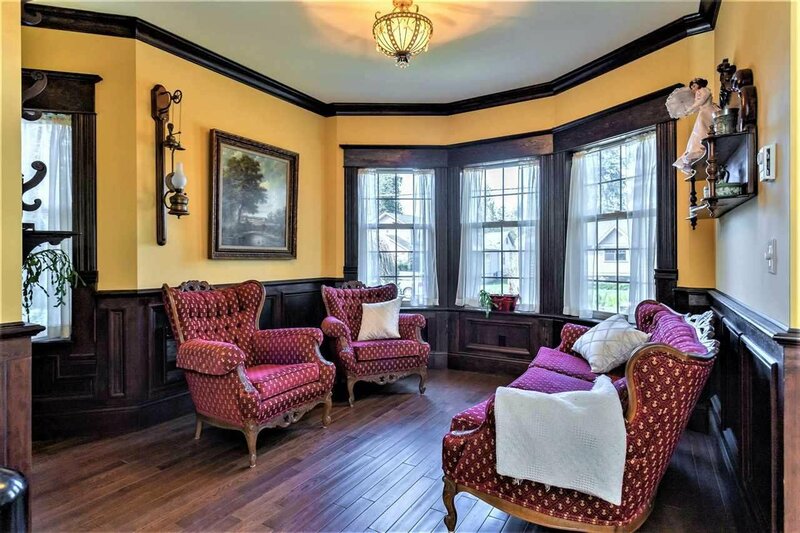 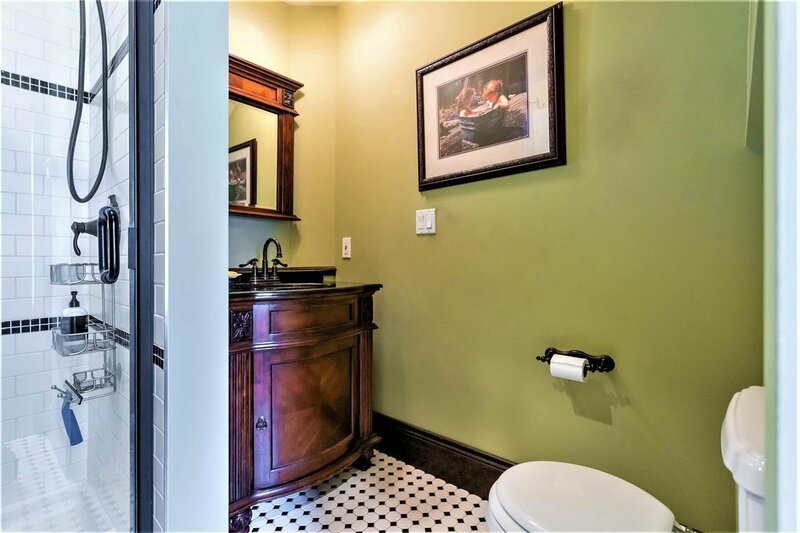 Lots of attention to details include custom made wainscoting, remodeled handrails from 1800's, reclaimed front door, hand scraped hardwood floor, embossed tin ceilings, handmade stained glass (seller's creation! 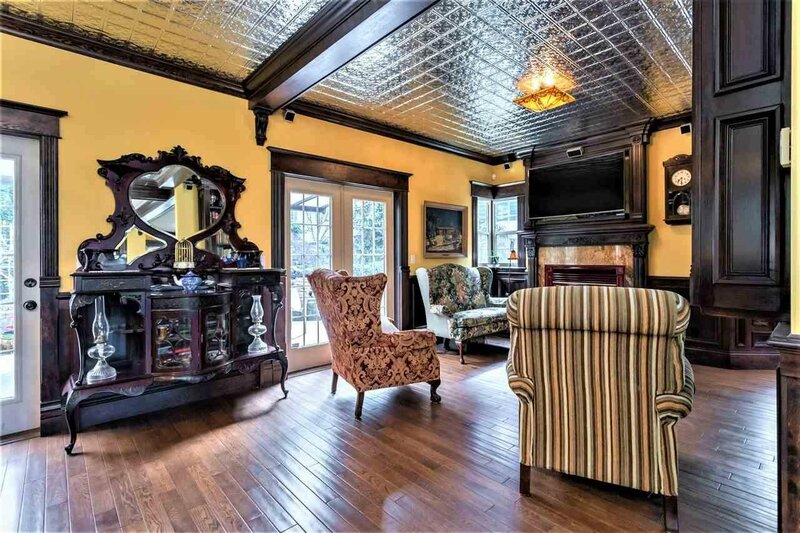 ), mantelpiece, mosaic tiles, decorative Tiffany lamps just to name a few focal features. 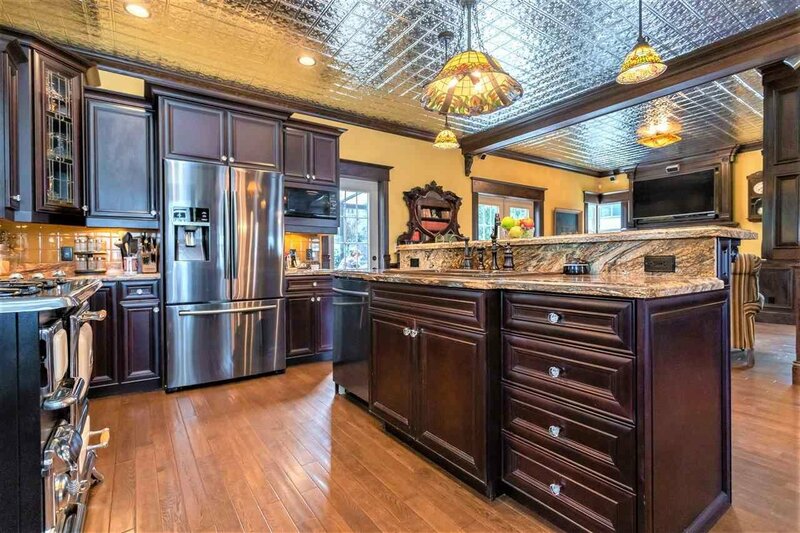 Kitchen features 6-burner gas stove with convection oven, granite counter and island. 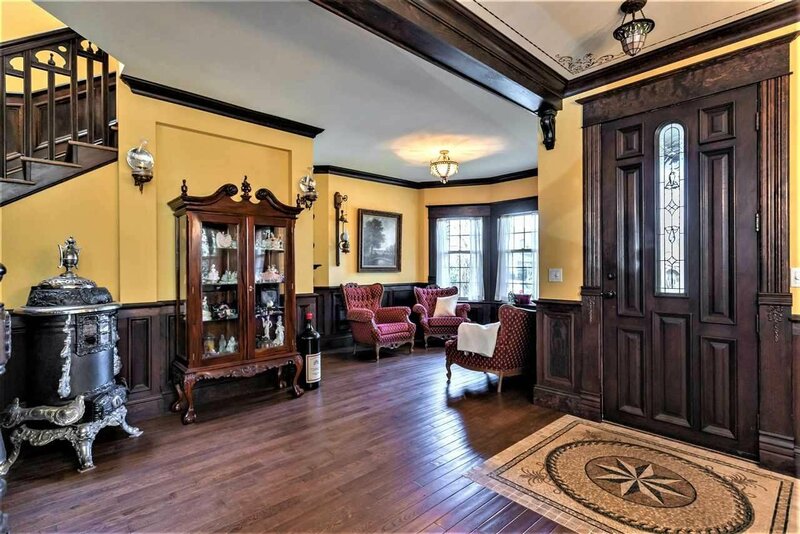 French doors in every room. 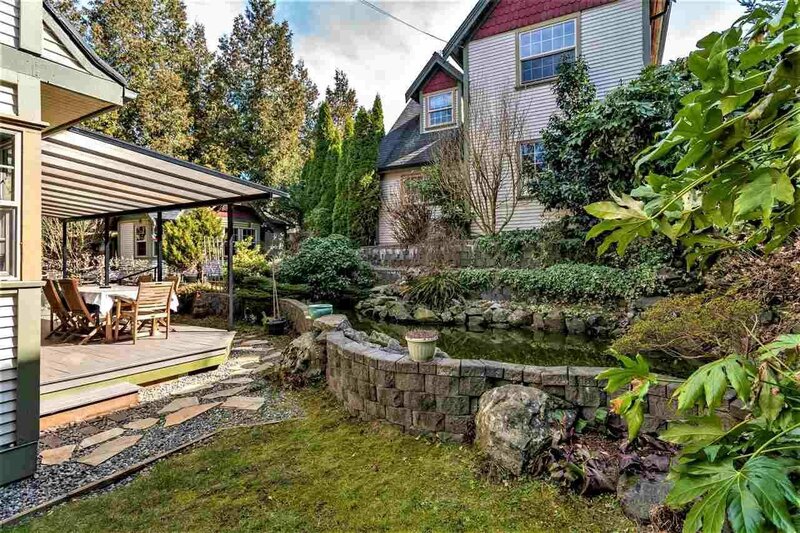 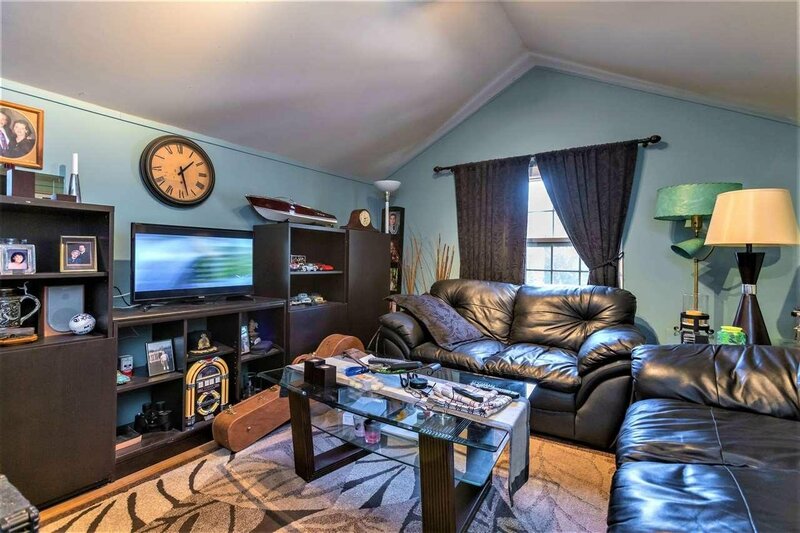 Outside exudes private oasis with koi fish & pond, covered deck, apple trees, low maintenance garden. 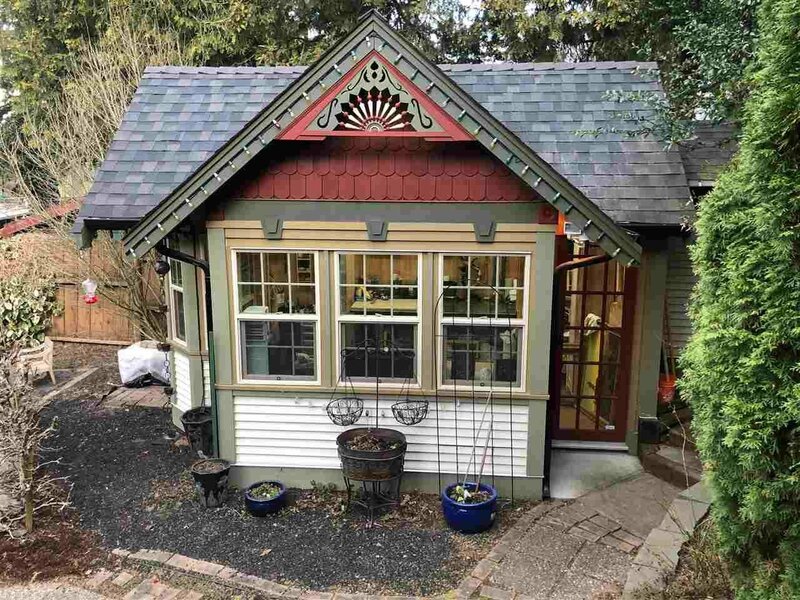 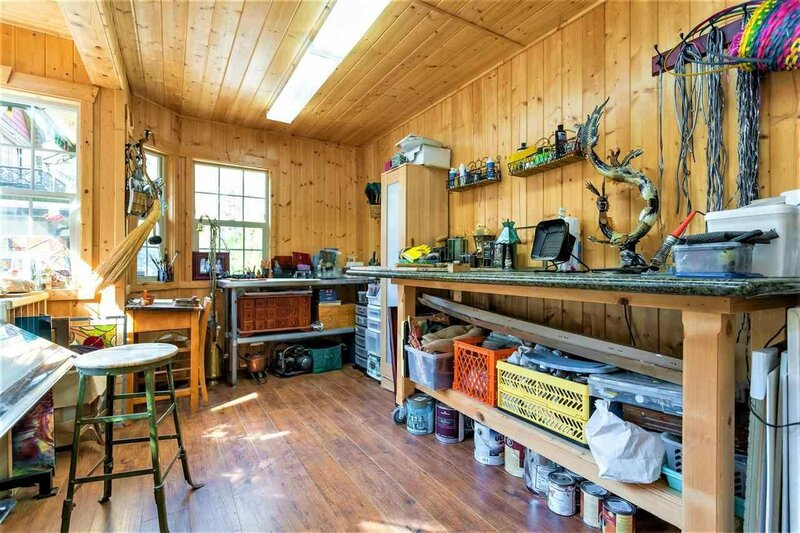 Detached heated studio for office or artist's escape. 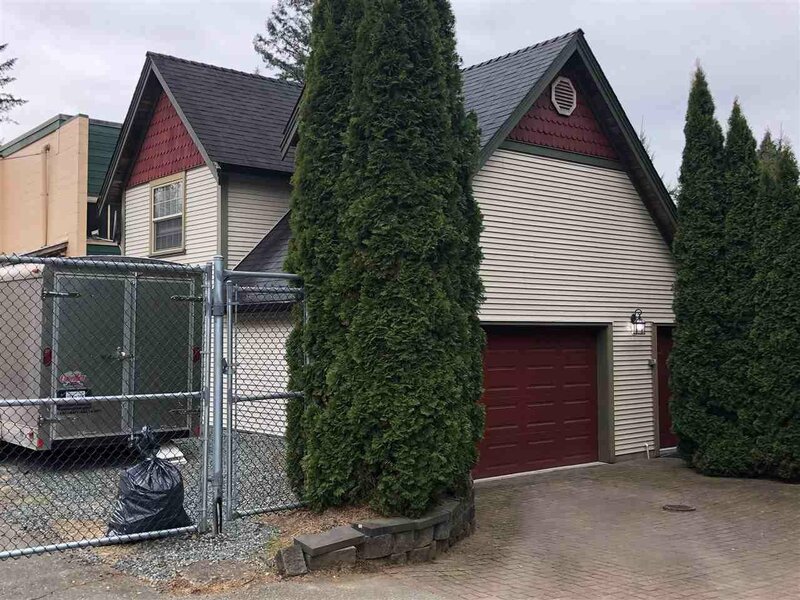 Lane access to double garage. 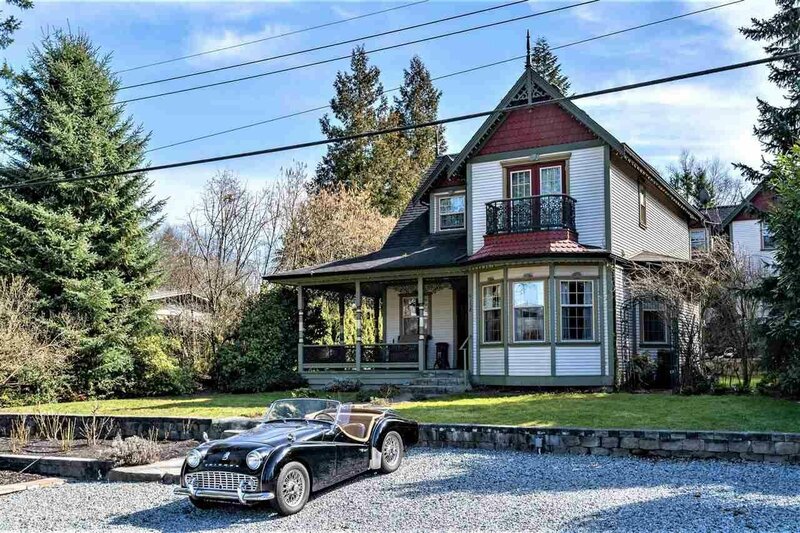 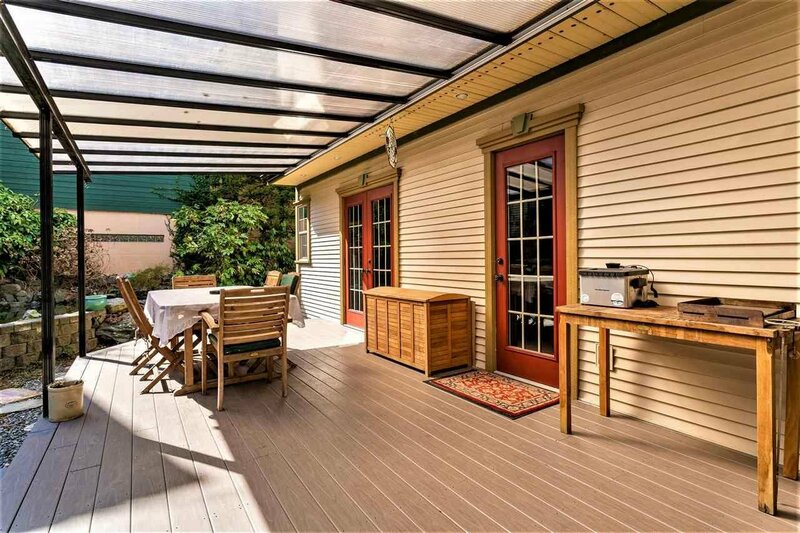 Located in the heart of Fort Langley, amenities in the Village just outside your door.